The Marshall DSL40C 40W tube combo amplifier is a sturdy, all-tube, gig-ready 40-watt workhorse. 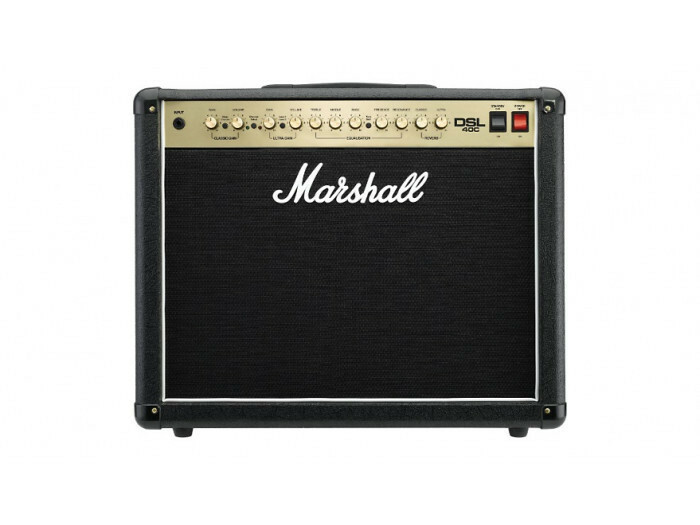 It boasts a Celestion 12" speaker and the exact same front and rear panel features as the DSL100H. The Triode (Half Power) option drops the DSL40C's output to 20 watts, making it exceptionally versatile. Dimensions: 24.4 x 19.3 x 9.9 in.